Do you want to plan an unforgettable trip to Bangkok? 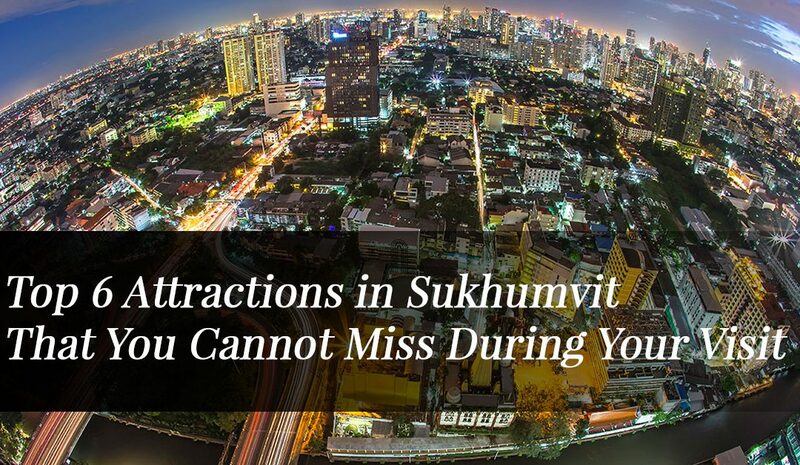 Of course, you want, and that is why we bring you this article about the top 6 attractions in Sukhumvit, to make your visit simply amazing. The Sukhumvit Road is the longest boulevard in the country and the commercial heart of the city, therefore, there is a lot to see and do, so, it can be hard to pick the best options. At Apoteka, our mission is to help you plan the perfect trip, and this article will fill the void perfectly! 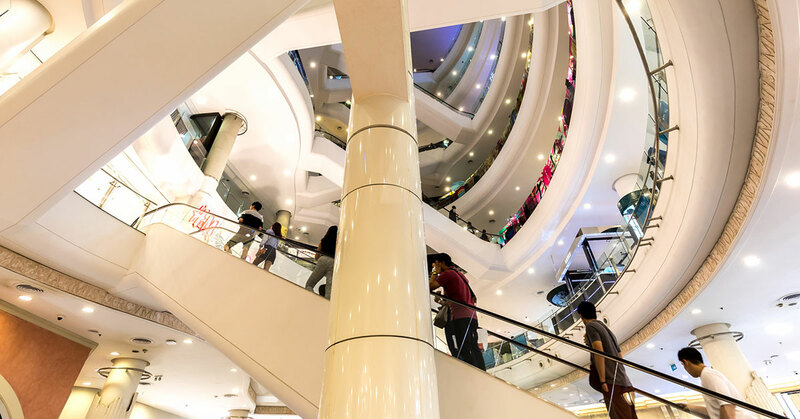 Bangkok is popular around for the world for the amazing shopping experiences you can live, and Terminal 21 is a must visit during your stay, because it will allow you to travel around the world under the same roof. Over 600 shops, nine floors and all the amenities you need to live an amazing experience, because it is designed to make you feel like you were traveling the world. The hall is designed like an airport departure zone, from where you can visit different floors that are designed according to different cities like Tokyo, San Francisco, Istanbul and London. Here you will find a wide myriad of boutiques, shops and great restaurants where you can eat the best of Thai and international food. Make sure to destine a full day to exploring this magnificent place, because it will require a lot of time to visit all of its floors and shops. Without any doubts, an activity you cannot afford to miss. The Sukhumvit Road is also full of amazing experiences for foodies, starting with street food and finishing with high-end restaurants. Of course, you can also visit us at Apoteka, where we will serve you with the best dishes and the best live music from excellent local bands. You can find all sorts of cuisines, for example, Italian, Japanese, Indian, Mexican, Chinese, Korean, Lebanese, steakhouses and a lot more. Of course, you can also find vegetarian and vegan-friendly restaurants with tons of delicious dishes just for you. Therefore, give yourself enough time to explore the foodie scene of Sukhumvit, because you will love it. If you are looking for a different kind of fun, you know what we mean, you need to visit the Soi Cowboy. Along with Nana Plaza, they are the most important parades for red light fun. 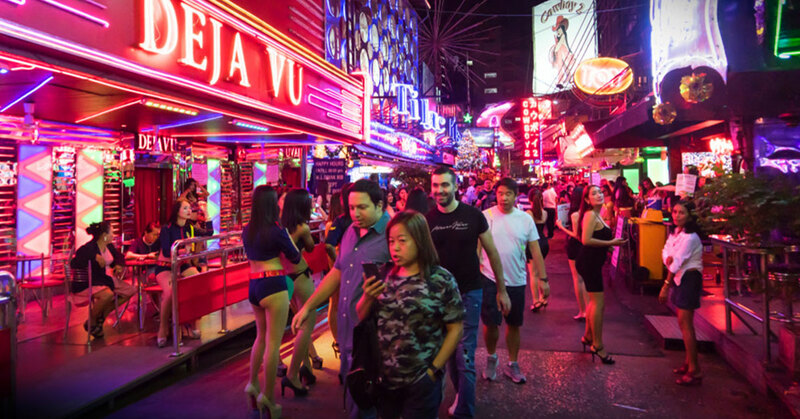 In fact, if you feel like you have already seen everything in Soi Cowboy, you only have to take a few steps to arrive to Nana Plaza, where more fun will be awaiting for you. The ideal parade for adult entertainment with a wide myriad of go-go bars and similar venues, where working girls will warmly greet you. You can have a few drinks, enjoy the shows and perhaps more. Everything is possible in the Soi Cowboy, hence, it is very popular amongst visitors, and if you are looking for that kind of experience, then you will love it. You can feel a bit trapped amongst so much movement and noise, but fortunately, the solution is right here in Sukhumvit, because here you can find amazing parks that will serve as an oasis of relaxation and peace. The Benjakiti is better if you want to have a long way around it, and to simply sit down and appreciate the beauty of the lake. Both are excellent options when you want to disconnect a bit from the wildness of Bangkok. They have everything you need to relax and experience real peace, even in the middle of so much movement and noise. It is a good idea to visit these parks in the morning, so you can charge your energies and start your venture in the Sukhumvit Road. 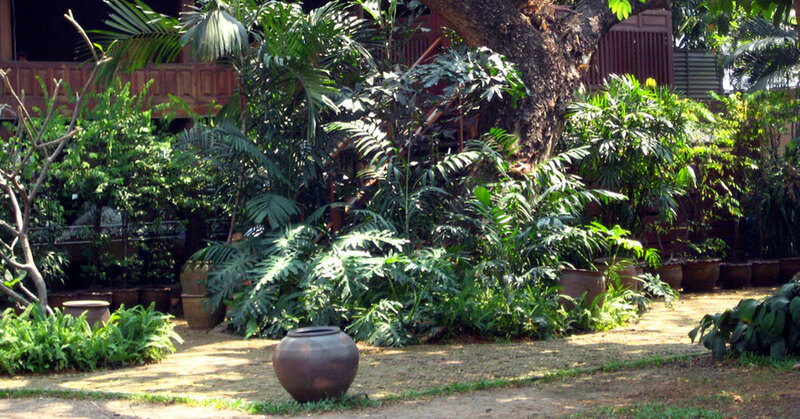 If you would like to live a cultural experience by learning more about rural life in Thailand, you definitively need to visit the Kamthieng House Museum, a place where you will learn and find real peace. It is an authentic sanctuary of peace dedicated to teaching about traditional rural life in Thailand, sending you into a travel in time, showing you how Thai used to live many years ago, and taking you back to the present, to show you the actual situation. It is a great place to visit if you only want to relax and learn more about the rich and exotic culture of this fabulous country. Sukhumvit Road is full of great clubs and bars, like ours, Apoteka, where you can enjoy a pleasant and entertaining night, where you will find the best cocktails and food, along with the best live music, all at your disposal. We have already covered the Soi Cowboy, but there is a lot more than only that. One of the most incredible experiences you can live in Bangkok. You can visit the Octave or Above Eleven, the best spots in Sukhumvit Road. Now you have a great selection of venues to visit in case you want to party and explore the nightlife scene of the Sukhumvit Road. It is wild, vibrant, exotic and exciting. The perfect stack of features to make you live an amazing night, and therefore, you need to live it! Now you have a nice list of the top 6 things to do in Sukhumvit Road, which will help you to plan your trip perfectly. In case you have any question, feel free to let us know and we will assist you. We wish you a happy and exciting trip to Bangkok, we are sure that you will love it!